"LED7Segment" is brand of company "betlux", we have long history of making led 7 segment (called 7 segment led display too), our LED 7 segment display is widely applied in home appliance, instrument, electroic scales, industrial panel,etc. BetLux’s mission is provide customer high quality and innovative LED products, with perfect service. BETLUX’s LED component product line includes LED LAMPS, LED SEVEN SEGMENT DISPLAYS, DOT MATRIX DISPLAYS, LED LIGHT BAR, SMD LED, HIGH POWER LEDS, which have created great turnover and the confidence of our customers. 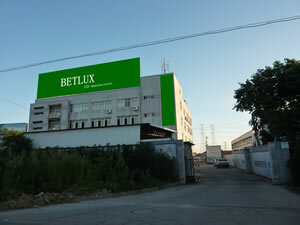 BETLUX has created an environment that encourages teamwork and continuous improvement. We have an ongoing program of market research and new product development. Hence, in addition to the standard models, we will provide the new novelty LED products to our customer, and develop the customized products too.